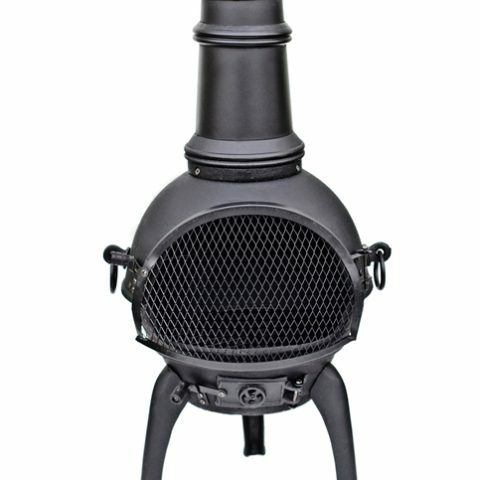 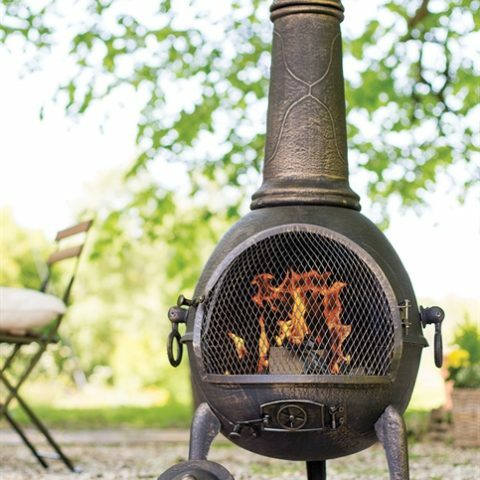 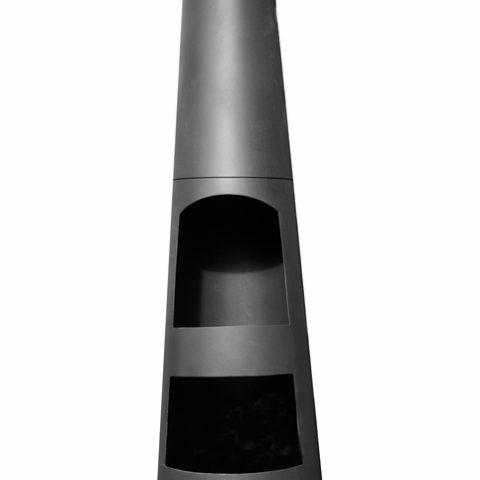 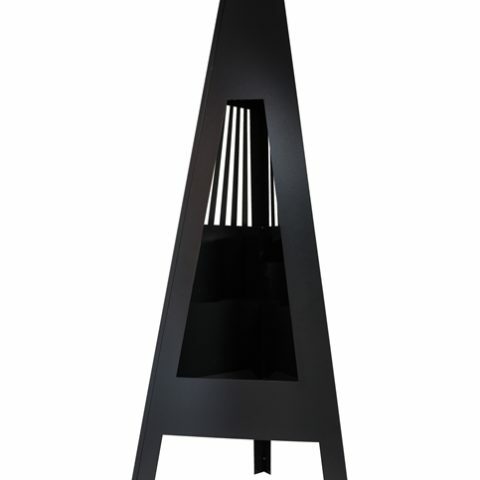 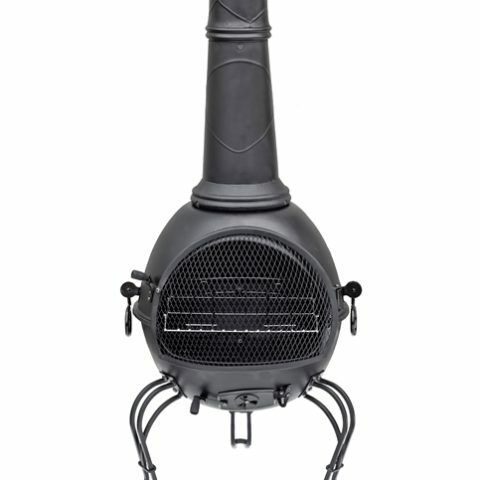 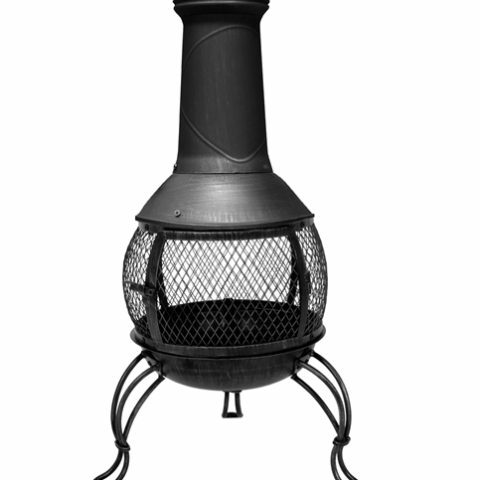 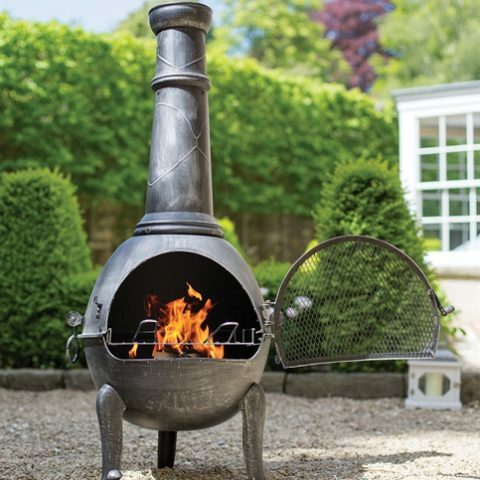 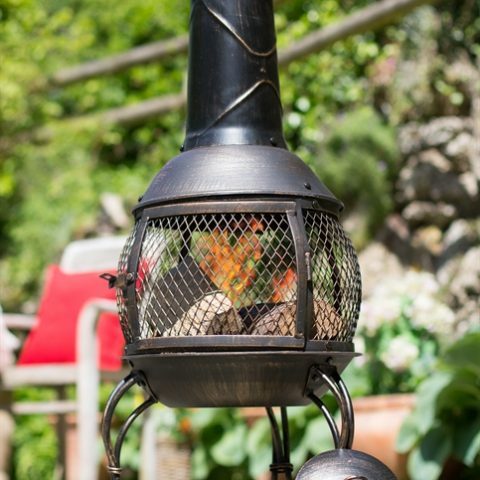 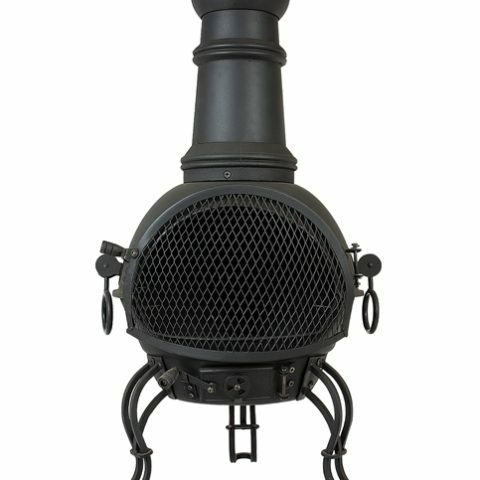 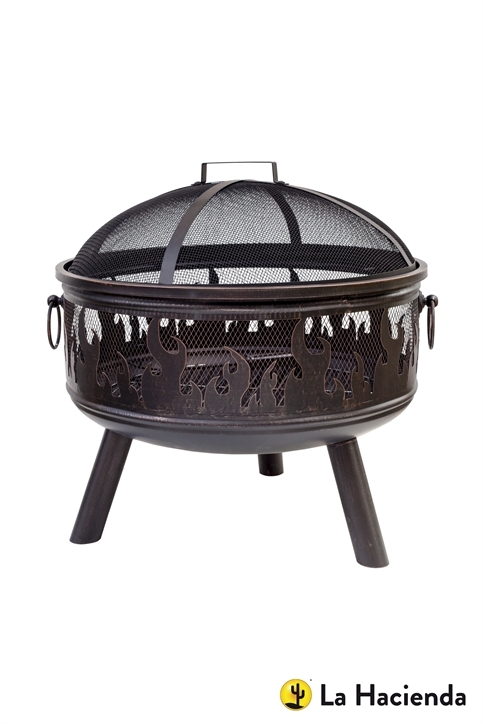 The La Hacienda Wildfire Firepit sits off the ground on three tubular legs and unlike other firepits, has mesh sides to help prevent sparks from escaping the fire inside. 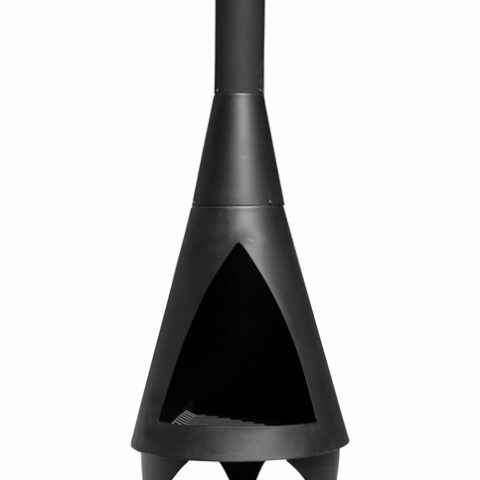 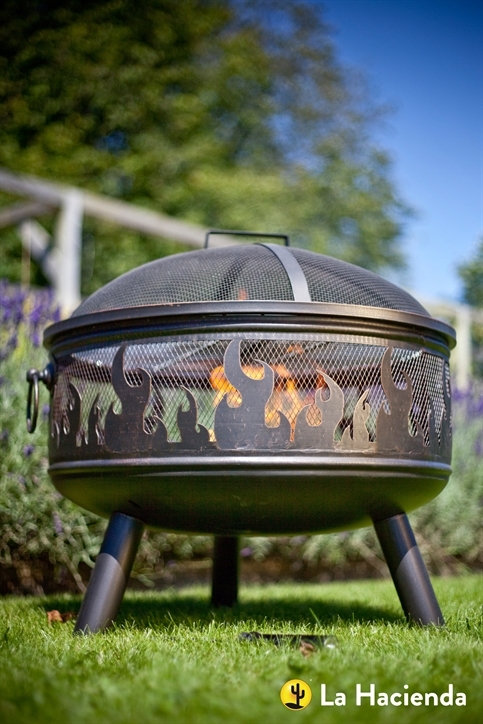 The Wildfire also has a domed sparkguard top which is particularly helpful in preventing sparks from flying out of the firepit. 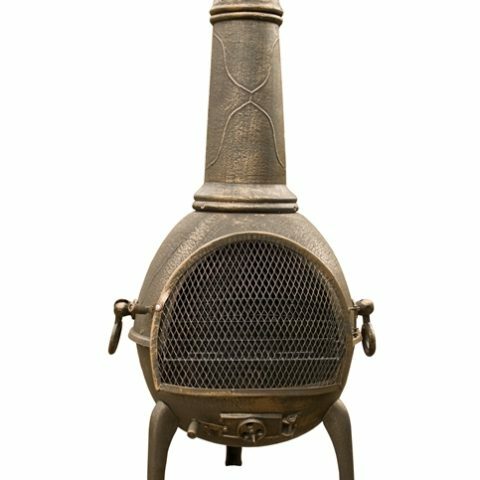 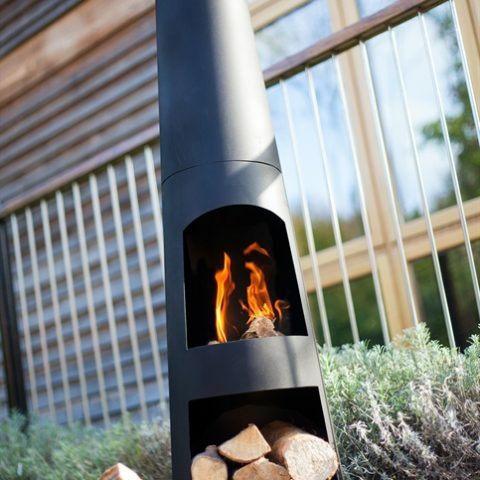 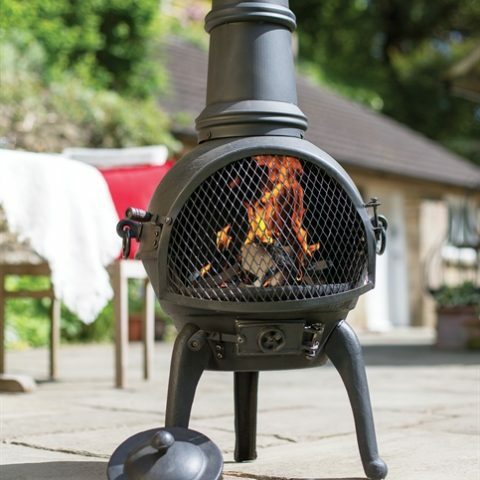 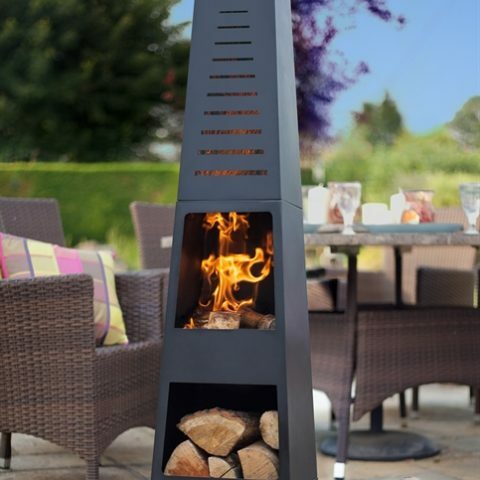 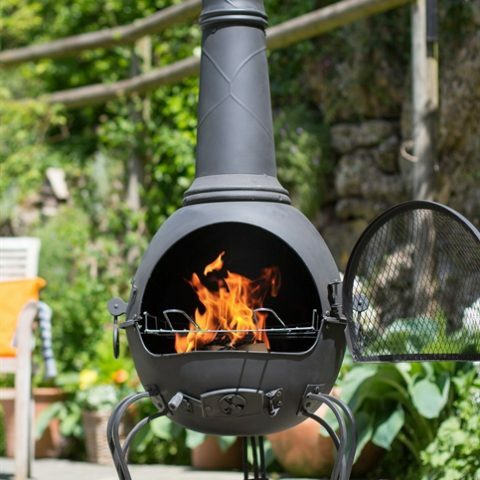 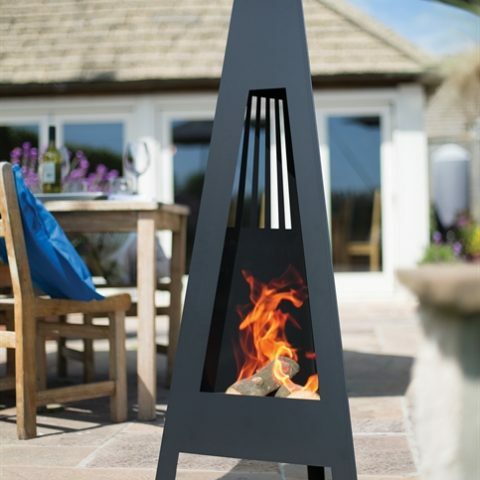 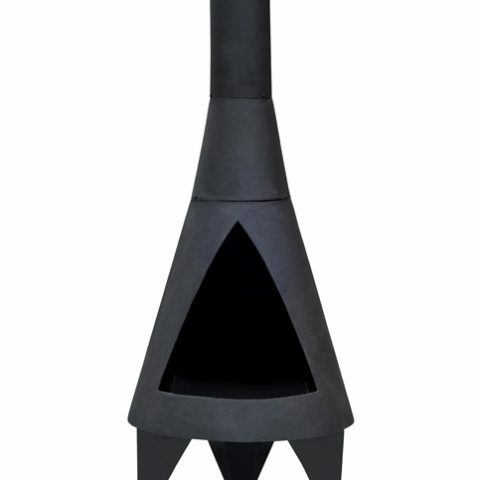 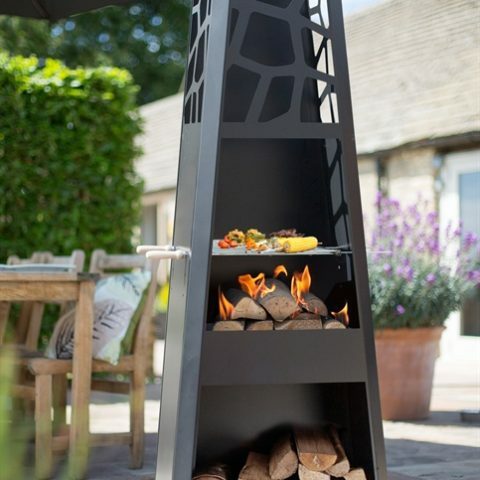 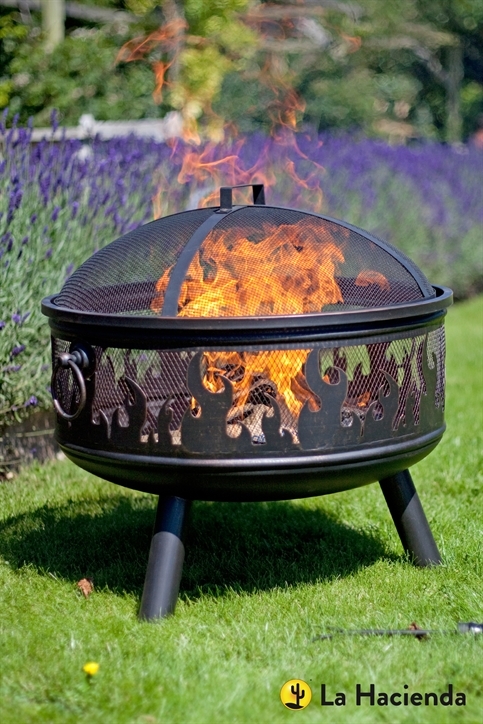 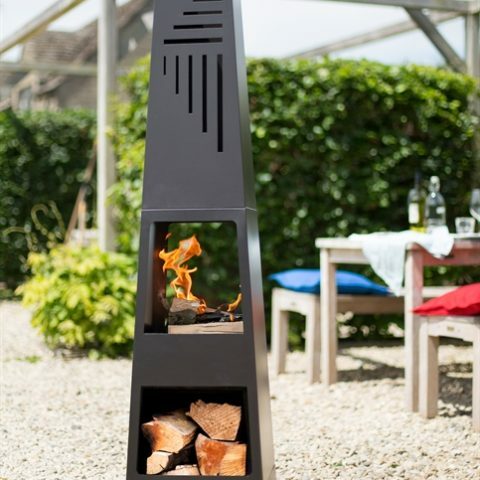 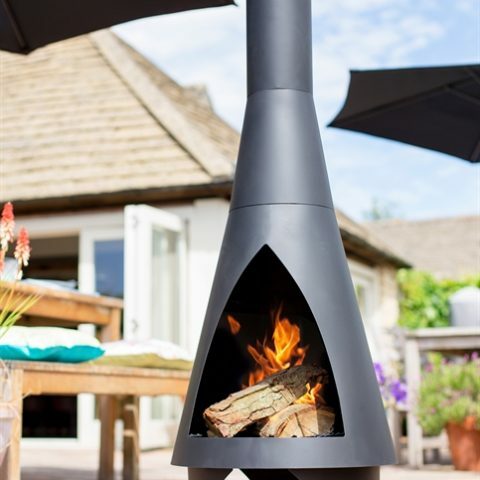 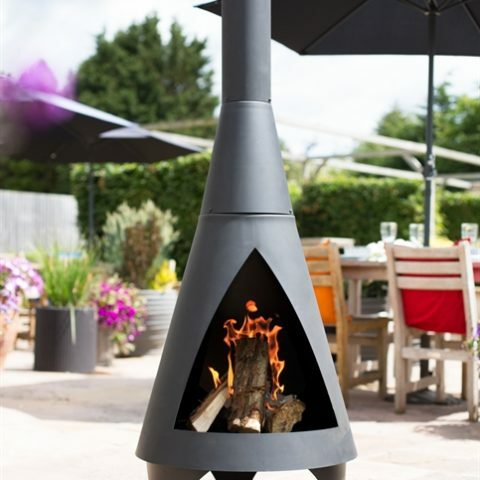 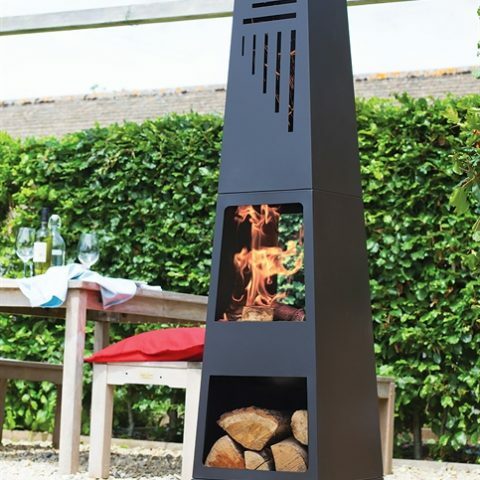 Finally what makes the Wildfire a stand out firepit is the decorative flame effect pattern that runs around the outer edge.